The organisers of SheMet 2019 are pleased to announce the 18th edition of this 2-yearly International Conference on Sheet Metal which will be held in Leuven. The conference will be hosted by the Department of Mechanical Engineering of KU Leuven on 15 till 17 April 2019. The aim of the conference is to provide a forum for researchers, academics and industrialists to discuss and promote both early dissemination of research results and technology transfer in sheet metal processing. It will provide an opportunity for those working on experimental research and development as well as those involved in analytical and numerical modeling to present their recorded work. The multiple facets of modern sheet metal manufacturing techniques are applied throughout a wide spectrum of economy, ranging from the automotive industry and machine manufacturing to electrical engineering and electronics. This wide range of applications means that sheet metal manufacturers produce parts from a few grams up to 1,000 kg and more, from electrotechnical parts up to components in automotive industry, as well as batch sizes ranging from just at a few pieces to mass production. Worldwide, around 12,300 companies employing 600,000 workers produce sheet metal goods worth over 732 billion US dollars (all numbers reflect the situation in 1999). These are impressive numbers for sheet metal manufacturing, to which forming processes are central, but also for cutting and joining technologies with their increasing importance. All of these processes have developed dynamically in the recent past, and this trend will no doubt continue. The automotive industry is the main impetus worldwide for new developments as is seen in its efforts to optimize lightweight constructions. Basic research at universities has been instrumental in promoting new developments through a better understanding of materials and processes. As we are standing at the very beginning of a new millennium, a new achievement profile for the sheet metal industry is emerging which will foster a fast and economical product development process. One such interdisciplinary arena is promoting the close cooperation between material scientists, technologists, manufacturing engineers and computer scientists in academia and industry. This cooperation is supported by the SheMet conference Series, which was founded in Birmingham, England, in 1993, and since has been hosted in yearly rotation by the University of Central England in Birmingham, the University of Ulster at Jordanstown, Northern Ireland, the University of Twente in the Netherlands, the Institute of Manufacturing Technology of the Friedrich-Alexander-Universität Erlangen-Nürnberg, Germany. From 2001 onward, the conference has moved to a biennial schedule, furthermore the KU Leuven, Belgium and the University of Palermo, Italy have joined the group of organizers whereas the University of Twente and Birmingham City University have stopped hosting the conference. SheMet 2019 is the 18th edition in a series of 2-yearly international scientific meetings on Sheet Metal. The previous editions were organized in Erlangen and Palermo. Incremental forming, blanking, piercing, punching, cropping, drawing, strip and wire drawing, deep drawing, sheet bending and levelling, explosive forming, hydroforming, laser forming, tube forming, powder forming, spray forming, coil production, combined processes and super plastic forming. Design, protection, modelling, manufacturing material, lubrication, progressive tooling, robotics, compound and combination dies. Laser and other cutting methods, laser welding, other welding, adhesive bonding. Ferrous and non-ferrous materials, high performance materials, composites, materials testing. Analytical techniques using plastic theory, constitutive models, finite element method, boundary element method, physical modelling . Strategies, methods, optimization techniques computer support, cost calculation. Intelligent processing of materials, sensing and control of forming processes, CAM systems, FMS and CIM, logistics, management and economics. Environmental issues, sustainable technology, pro- duct information structures, DFX. 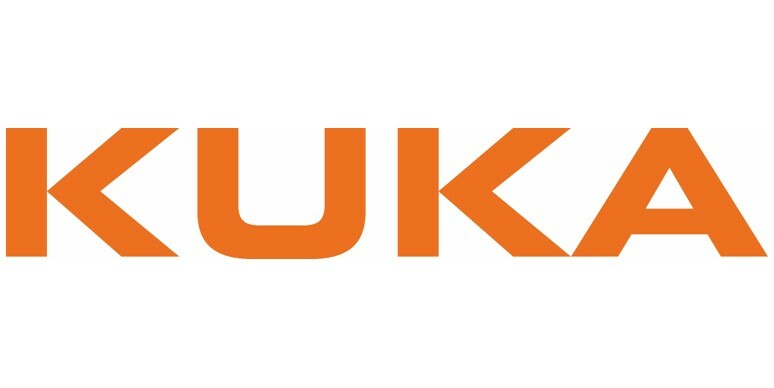 Maintenance, NDT/NDE, tool wear and process monitoring, diagnostic techniques, vision, ultrasonics. Standards, tolerancing, metrology, SPC, total quality management. Surface treatment of strip, design consideration for fabrication of pre-treated/coated materials. Plastic theory, physical modelling, stamping, blanking, bending, laser welding, other welding, laser soldering, laser drilling, manufacturing of lead frames. Over the last decades, lasers have been adopted in a wide spectrum of sheet metal processing applications and they represent a core production technology of modern process lines. Nevertheless, challenges, which cannot be opposed by established system technology, arise for instance due to new materials and material pairings, the electrification in the automotive industry as well as the demand for traceability in the digital production process. Therefor these challenges state some of the main driving forces for new technologies in the field of laser materials processing. Due to this, for example new beam sources, more advanced processing optics, but also new sensing technologies are developed and made industrially available. One example for this are the variety of solutions for increasing the weldability of copper or the increased number of remote processing applications. The novel technologies not only serve the demand from industry, they also open up new opportunities. For example, the faster beam deflection allows avoiding defects by beam oscillation during the process. In addition to that, the available system technology can be used to reach not yet used process regimes to realize processes with an increased economic and ecologic efficiency like remote cutting. In the near future uprising technologies, like beam shaping, will open up a complete field of opportunities by making additional degrees of freedom available for the realization of innovative laser applications in sheet metal processing. Professor Schmidt was born in Coburg in 1969 and studied electrical engineering at the Friedrich-Alexander-Universität Erlangen-Nürnberg. 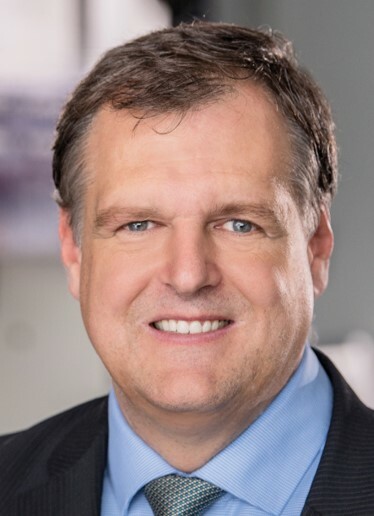 From 1997 on, he worked as research assistant at the Chair of Manufacturing Technology in the field of laser materials processing before he switched to the Bayerisches Laserzentrum GmbH as senior manager development / production in 2001. 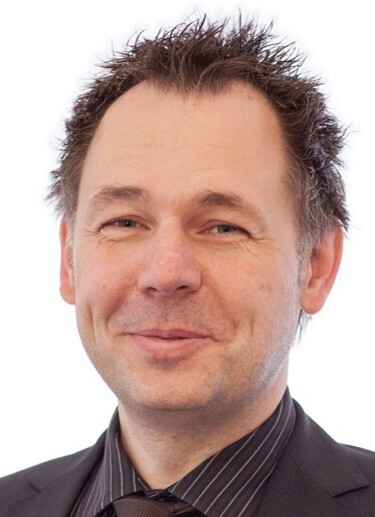 He finished his doctoral thesis on “Process control of laser spot welding in electronics production” in 2002 and became a member of the executive board of the Bayerisches Laserzentrum GmbH. Since January 2005, he leads the Bayerisches Laserzentrum GmbH as a managing director. When the Institute of Photonic Technologies was founded in March 2009, he became full professor at the University of Erlangen-Nuremberg. Although the creativity of sculptors plays an important role in the development of new proof coins for collection purposes, it is nowadays impossible to produce innovative collector coins without a serious commitment to technological development. The convergence of recent trends in numerical simulation of coin minting, in advanced coin minting presses and in the utilization of other materials than those usually taken from groups 10 and 11 of the periodic table are pushing the limits of innovation in coin minting. The consequence of all this is that coin minting has evolved to such a level of complexity that some of the geometries, materials and techniques used in newly minted proof coins would simply be out of consideration two or three decades ago. With this in mind, it is the purpose of this presentation to provide a state-of-the-art review in science and technology of coin minting and to introduce some of the actual trends in the production of collection coins. Special emphasis is placed on innovative design techniques, new materials and joining processes. Two examples will be comprehensively discussed. Firstly, the development and application of finite element based design procedures for correcting the coining die profiles and extending their service life. Secondly, the development of a new polymer-metal coin that is produced by combination of coin minting and joining by forming in a single die stroke. The utilization of coining disks made from sandwich composites with the purpose of obtaining new aesthetic effects and/or incorporating advanced security features will be also discussed. 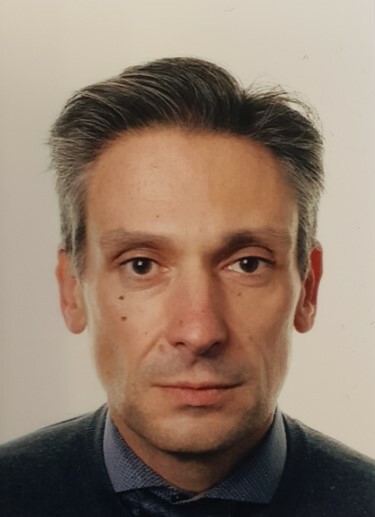 Paulo Martins is professor of manufacturing at Instituto Superior Técnico, University of Lisbon, Portugal. He obtained a PhD in mechanical engineering from Instituto Superior Técnico in 1991, the habilitation in mechanical engineering from Instituto Superior Técnico in 1999 and the degree of doctor technices honoris causa from the Technical University of Denmark in 2018. He was president of the scientific board at Instituto Superior Técnico from 2009 to 2012 and he is president of the school council of Instituto Superior Técnico since 2017. His research interests are focused in metal forming and joining technologies and he is co‐author of six books, several international patents and 400 papers in international journals and conferences. The optimization of products and processes, as well as short development times, requires intensive use of numerical frameworks and tools for virtual testing. There is a multitude of software packages designed to help engineers, mostly resorting to Finite Element Analysis (FEA) with the common aim to provide accuracy and simultaneous efficiency and offering a diverse library of finite elements and material laws for distinct simulation needs. This talk provides an overview of common numerical pathologies and issues related to the simulation of sheet metal forming processes. Applied examples will show the importance of carefully choosing some model and simulation parameters in order to obtain results in a fast and reliable way. 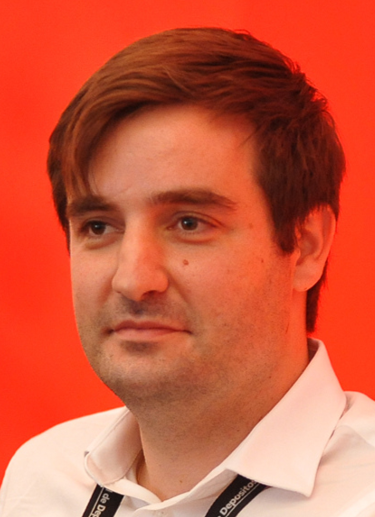 Ricardo Alves de Sousa (São Paulo, 7th October, 1977) is currently Assistant Professor with Habilitation at the Department of Mechanical Engineering, University of Aveiro and member of the Center of Mechanical Technology and Automation (TEMA) research unit. His main interests are related to Computational Mechanics, either by modelling technological processes and materials. He has more than 80 scientific contributions either in papers, book chapters and books, and he is author of 3 patents. In 2011, he received the international scientific ESAFORM (European Association of Material Forming) career prize. In 2013 he received the Innovation Prize from APCOR (Portuguese Association for Cork Material), and in March of 2015 he was selected researcher of month at the University of Aveiro. Bending XXL boom profiles and large radius shells for markets such as yellow goods, transportation and offshore is traditionally a highly labour-intensive process that involves multiple setups and part handlings to achieve an accurately formed part. As such, productivity suffers and the risk for error and operator injury is high. Though bending technology has made significant strides in reducing press brake set up time and improving the accuracy and repeatability of forming, these jobs remain a challenge fundamentally because of their XXL size. The advent of new high-strength materials with tensile strengths up to 1,300 MPa and higher, small batch production, tight tolerances and falling skill levels in the work shop have added to the challenges of XXL bending. In this presentation we examine the current demands and trends in XXL bending and introduce an award-winning adaptive bending solution, Synchro-Form. Synchro-Form addresses the challenges of large-profile bending, making it possible to bend large profiles with consistent accuracy, at high throughput and with minimal operator intervention. This next-generation adaptive bending technology is changing XXL bending. By using an in-process quality management system to measure the accumulated angle and compensate for angle deviation in the bends that follow, this advanced technology can improve productivity of large profile bending up to 50% or more, depending on the specific profile. An example of an XXL bending application in the aerospace sector will be featured, detailing Synchro-Form technology in action. Trained in electromechanical engineering (VHTI – Kortrijk), Steven Lucas began his career 24 years ago at LVD, a renowned Belgian manufacturer of press brakes and shears, punch presses, laser cutting machines, software and modular automation. Steven advanced from a field engineer position with LVD’s World Service team to international Sales Manager. Because of his solid experience in bending technology and proven skills in key account management, he was appointed Press Brake Product Manager in 2008. In this capacity, Steven is responsible for the international press brake sales team and is involved in sales activities with key accounts across the globe. Integral to his role is keeping abreast of market trends and technology. Steven’s strong interest in new technologies and close work with customers has often incited LVD to develop and implement technical innovations, such as the customized Synchro-Form press brake, especially developed for Kawasaki Heavy Industries and their work with aviation giant Boeing. As a result, LVD is recognized as a world leader in bending. Due to the increasing customer demands on quality, safety, lightweight and design, more and more complex sheet metal parts have to be produced. In order to overcome the resulting challenge of time pressure, Finite Element Analysis are of utmost importance for production technology. For those models a profound knowledge about the material is essential. One of the main objectives in sheet metal forming simulations is the feasibility prediction limited by localized necking. The forming limit Curve (FLC) is a conventional model to estimate the forming limits of sheet metals for proportional loading conditions in Finite Element Analysis. Previous studies found that a standard linear Forming Limit Curve is not suitable for predicting the influence of non-proportional load histories. Models to address this problem are i.a. the Generalized Forming Limit Concept (GFLC). Those models require reliable databases and profound knowledge about the material. The Generalized Forming Limit Concept is purely based on measurable data, which is why no material model has to be used to assess complex strain paths regarding formability. Nevertheless, the bi–linear material tests, which are needed as database, e.g. Nakajima tests or cruciform specimens, have to guarantee precise results. By analyzing an acceptable number of bi–linear experiments it is possible to calibrate the phenomenological GFLC model. Therewith an arbitrary load history can be evaluated with respect to localized necking. The cost effectiveness of the approach is given through the possibility of scaling the results. Non–proportional load histories of materials within the same material class can be estimated without any individual experiments for model fitting. Only a linear forming limit curve is needed. Prof. Dr.-Ing. Wolfram Volk studied physics and mechanics at TH Darmstadt and received his diploma in 1994. His work as research associate under the direction of Prof. Dr.-Ing. 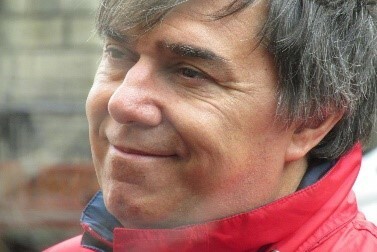 Wolfgang Ehlers led to his Ph. D. in 1999. After that he worked in different positions in the fields of metal forming with focus on simulation, product and process planning as well as concept development at BMW AG in Munich. Since April 2011, Prof. Volk holds the Chair of Metal Forming and Casting as a full professor at the Technical University of Munich. The chair focuses on the three production processes of casting, blanking and metal forming. Prof. Volk has about 40 scientists at his institute working on research projects, which vary from fundamental research to industrial application. He became a member of CIRP and acatech (National Academy of Science And Engineering). Since July 2016 he is also a member of the board at the Fraunhofer Research Institution for Casting, Composite and Processing Technology IGCV. On Monday 15/04/2019 we will be visiting the Inbev brewing company. 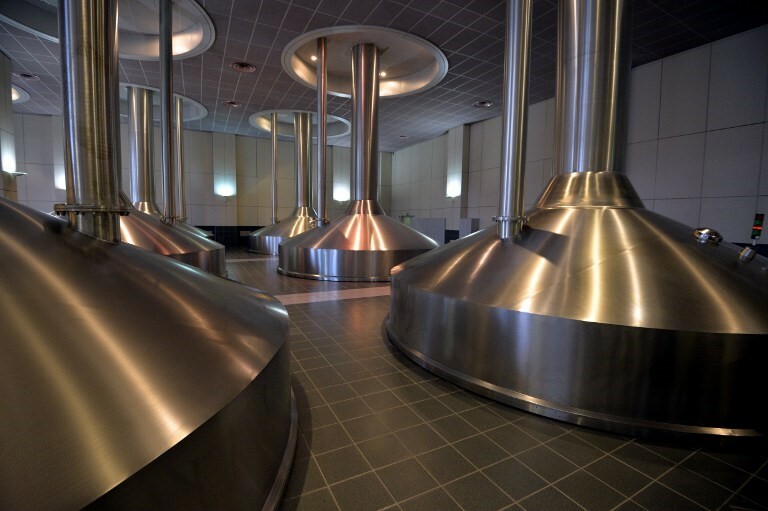 Being the largest brewery group worldwide, Inbev has its headquarters in Leuven and also houses an impressive brewing and bottling facility. Nice samples of high-end sheet metal work: from brewing kettles to the can packaging material. The company visit will be followed by a Cheese and Beer reception which should satisfy our worldly needs. 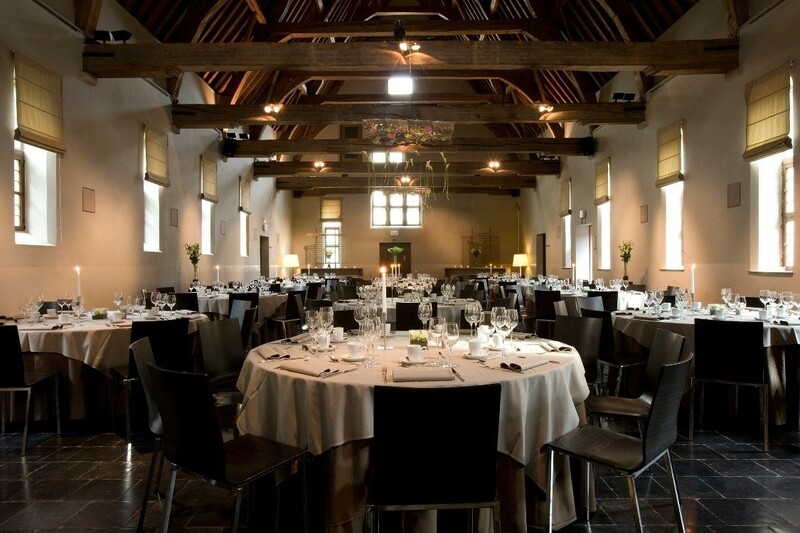 On Tuesday 16/04/2019 the conference dinner will be organized in the historic settings of the Grand Beguinage, a UNESCO recognized world heritage site dating back to the 13th century (https://www.visitleuven.be/en/great-beguinage). Our dinner will be served in the Faculty Club and more specifically in the Infirmerie (see photograph): what ever used to be a hospital now provides a nice historic atmosphere for social interaction and for enjoying fine food. For the duration of the conference we have reserved a contingent of rooms at special rates in selected hotels in Leuven. For room reservations please contact the reception of the hotel directly (contact details below) and make sure to state the booking code or use the reservation form which is provided to take advantage of the special conditions for this event. Booking: with reservation code "SheMet"
The nearest international airport is Brussels Airport (Airport code: BRU), about 30 km away from Leuven. From this point you could choose different further transport to reach KU Leuven, campus Groep T - Leuven. by rent-a-car: The trip from Brussels Airport to Leuven takes about 30 minutes. by taxi: You could take a taxi directly from the airport, in front of the arrival doors, the trip takes about 30 minutes by car. (Taxi Airport-Leuven "Taxi Axi" (+32) 471 80 70 70 or info@taxileuven.net). The venue of the Conference is KU Leuven, campus Groep T - Leuven, Andreas Vesaliusstraat 13, 3000 Leuven. Parking is possible at Parking Ladeuze (ladeuzeplein, Leuven). 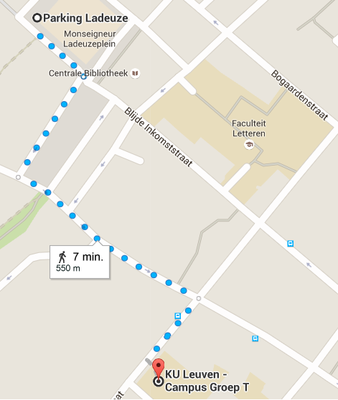 From here, it's a 7 minutes walk to the conference venue. Be careful: the traffic situation in the city center of Leuven has drastically changed recently, don't use your GPS system. Whether it is the peace and tranquillity of the béguinage, listed as World Heritage by UNESCO, one of the numerous beer cellars of the Old Market, or the restaurants around the famous Town Hall, the city of Leuven has a lot to offer. After 580 years as a university town, Leuven still attracts the Flemish youth and nurtures it on wisdom, erudition and broad mindedness. 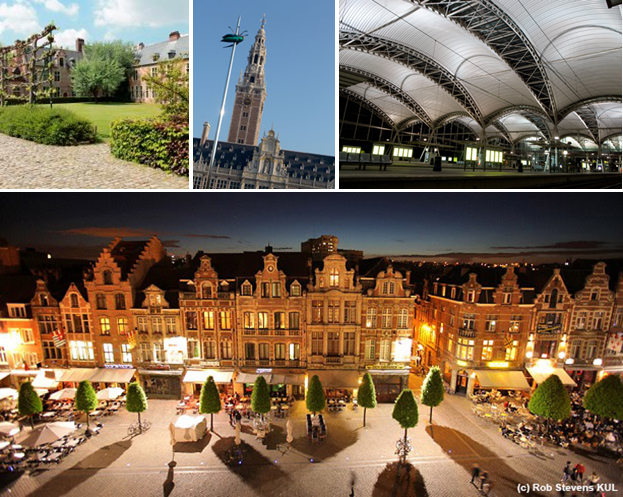 Leuven is located in the center of Belgium only 30km from Brussels and 20km from Brussels Airport. Climate Belgium has a temperate continental climate. Summer temperatures: around 25° C (77° F) to 35° C (95° F). Winter temperatures: dropping below 0° C (14° F). 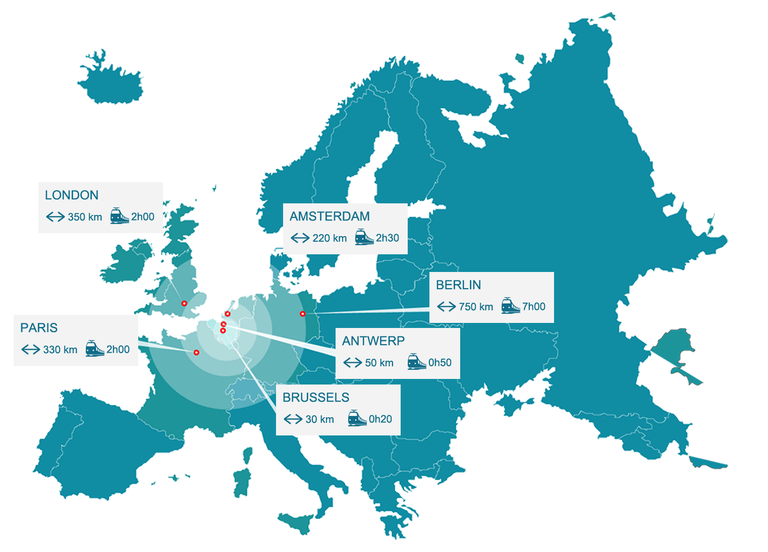 Language Leuven is located in Vlaanderen (Flanders), where the official language is Dutch. In Brussels, most people speak French, as in the southern part of Belgium, Wallonië. However, it shouldn't be a problem to approach anybody in English since it is a third language for a lot of people. The official currency of Belgium is Euro (EUR, €). Therewith, Belgium belongs to the 23 European countries that use the common European currency. Time Zone UTC/GMT +1 hour is the standard time zone in Belgium. Daylight saving time starts end of March until end of October. In this period the time zone differs from the standard: UTC/GMT +2 hours. Power and Electrical Plugs Electricity is 220-230V, 50 Hz. Belgian plugs have two round pins. Opening hours: Mo - Fr: 8.30 am - 18.00 pm, Sa 8.30 am to noon. Store Opening Hours The opening hours of shops vary in Belgium. Mostly though, the opening hours during the week are Monday – Saturday, from 10:00 am - 18:00 pm. Smoking No smoking at public places (e.g. airports, train stations, schools, universities, restaurants, bars and cafes, government administration buildings) and on public transport (e.g. trains). The abstract should contain a maximum of 250 words. If your abstract gets accepted, a paper submission will be automatically created. It is then possible to change the contribution details and upload your paper. The paper should contain minimum 4 and maximum 8 pages and should be submitted in pdf format before September, 30th 2018. The templates are found here: Paper template pdf, Paper template doc. After the review round, a camera ready paper needs to be submitted before December, 15th 2018. The camera ready paper needs to be uploaded in both pdf and doc/docx formats. Presentations will only be scheduled in the final programme and published in the conference proceedings after registration and payment of the conference fee by at least one co-author. Each delegate can be presenting author of maximum one papers. Besides the full paper option, for which the regular review procedure applies, there is also the option to present your R&D achievements as an ‘Industrial Communication’ presentation during the conference. In that case we ask you to submit an abstract with the content description for the contribution you intend to present in order to allow scope compliance assurance. No full paper will be requested, but a presentation can be scheduled in the conference program labeled as ‘industrial communication’. To mark your abstract as industrial communication, please check the appropriate check box in the abstract submission form. 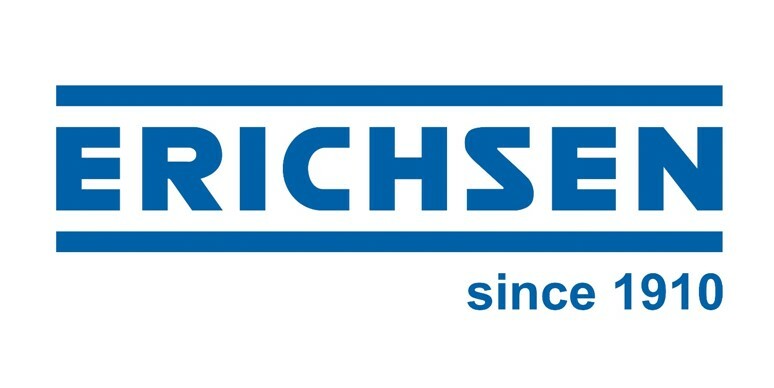 The papers accepted for SheMet 2019 will be published through Procedia Manufacturing (Elsevier), which is listed by Web Of Science. These proceedings will be available online for all participants to the conference. Furthermore the Open Access publication will assure maximum visibility toward the broad public, thus optimizing citations in the long run. Condition for inclusion in the proceedings is that at least one of the authors is registered for the conference in due time. In case of any problem, please contact the registration office: info@shemet2019.eu.